I hope this letter finds you and your family in good spirits and hopeful of your future. I have to admit, my family is not feeling so chipper right now, thank you for asking. Oh, you didn’t ask? Don’t you think you should be asking though? As the Premier of this province, isn’t it your duty to be concerned about our well-being and our future? You really don’t think we matter, do you? I come from the family of a highly ranked politician in a European country. I know what it is like to have to be nurturing to so many souls at once and take into account what’s best for the entire province. I know how much hard work it takes to do your job. I also know how anguishing it can be not to be able to meet everyone’s needs. Your job is not an easy one. I have watched my father agonise over his decisions, I have seen his sleepless nights when times were tough. What I have never witnessed in my father’s work was the ignorance and selfishness that you seem to have mastered above all other personal attributes needed to make one into a politician. Your job is not an easy one, but you shouldn’t be doing it if you don’t have the compassion for the average British Columbian that is required of a Premier. Maybe you should stay at home, move your son into a school in the public system and volunteer a few hours here and there. It would give you a perspective that you seem to have lost, or possibly never had. My two sons are in a public system school, it is a great school. We are very lucky - we have two librarians. They are two mothers from our school, volunteering hours of their time as we’ve been told there is no money for paid librarians to help us out. We also have a couple of people helping children with their reading on a regular basis. You probably guessed it by now – volunteers again, we were told that there was no money to extend the hours of people working in the Language Arts Centre or hire any new staff. I go to my kids’ school twice per week to help children improve their reading and comprehension skills. I spend at least 3 hours of my week in my kids’ school helping out. Not with my children, they are doing great thanks to their wonderful teachers, but with other children who do need help. I also do lunch time monitoring in our school. For a couple of months we needed to be very frugal with how many band aids we use as we didn’t have enough. We brought some of our own in, you know those cute ones with pictures that make kids stop crying really quickly? A Premier with families in mind would not allow schools to go without band aids. A Premier concerned about children would not be deaf to their needs. No, Christy Clark, your mandate is not about families first. Well, I guess it is about some families. Your family. Your aids’ families. It seems there is money to help those families, to raise their already inflated incomes, while everyone else has to tighten their belts in order to feed your foreign guests to a feast that most of us, the taxpayers who pay the bill could never afford. 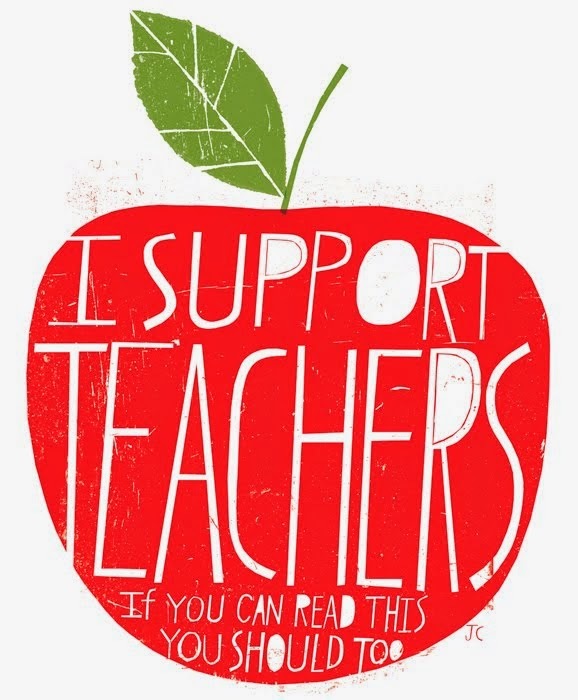 I whole heartedly support teachers. I see them come in early to prepare for the day ahead of them. I see them leave late with papers to be still marked. I see them run community garden projects, talent shows and teach children far more than a teaching curriculum requires. I see them helping our children grow into good people. I see them making sure that our children receive the best possible education they can with the meagre resources you provide. That should be your mandate Christy Clark. But you have failed us, again and again. I do not see you concerned about any of this. Teachers are the ones building the future of this province, not you. You should be an equal partner with our families in building a better future for everyone, but not through the pipelines and extensive travels. There are far better things to invest in. Our schools and libraries need you to be a better Premier. So do our hospitals and community resources. And, if you can’t, there might be someone who can, so maybe you need to make way. I am disgusted with the manner in which you are treating our teachers. They are deserving of much more than they are asking for. They are deserving of your respect and an honest involvement in the negotiation process. There needs to be an offer made that is not insulting and diminishing of their importance. You need to remember that each and every teacher has a greater importance in a single family’s life than you ever will have. As the Premier, you were given a mandate to do only one thing – to do what is best for all British Columbians. If this is your best Christy Clark, it is not good enough. Please, try harder. Please write to your MLAs, our Premier, newspapers. We have to voice our opinions or they stop to matter. Beautifully said....to the point, polite and direct. Very well done.